As always I like to look forward to the new year. Starting with a look back at the predictions of last year. I have to say that I was pretty accurate last year. Check it yourself. So to sum up I think the home will be the main playground of the digital developments in 2015, with the internet of daily life as silent revolution. Impacting some of our habits and devices we use. The move to private messaging communities will have big impact and next to that we could be really preparing for a new sensing communication language that will however fly later. More than ever the first seeds were planted for the things to happen later, like in 2016. As the messaging as platform, a lot is said on that in 2015 and is happening big time in China. It will definitely execute in 2016. The new platforms for our smart homes as silent revolution is also something that happened with a couple of players. Samsung got into the market with the acquisition of SmartThings, the new Apple TV as platform can be seen as a move into the home, Amazon Echo products, and of course NEST platform from Google. That one is the most interesting to watch. It is clear that Google is trying to enter the home to collect user data there. Nothing secret there anymore. The big question is what they will do with the data. Expect more products and services connected to the platform to generate data. Leveraging the platform as service to – for instance – advertisers will follow later (2017). I am very interested if Google will make some serious steps in making the new invisible design patterns for data driven real life products at the next I/O. The same goes for haptics. I was right last year that the integration of haptics in Apple Watch is important but very basic. With the roll-out of 3D touch to the phone and laptop will continue this year. Only if there is a serious installed base we can expect to open up the possibilities of haptic to use for real functions instead of the limited possibilities now. Expect that with iOS10. Twitter is in decline. Not falling yet in 2016 but if they do not find a new purpose it will be hard in the years after. It moved very rapidly to Instagram, and Snapchat. Snapchat did grow strong in 2015 indeed, even more than expected. Will continue to do so and is more and more adopted with broader audiences. There will be more discussion on the business model of the service. A connection can be made with VR. 2015 was not yet the year for VR breakthrough but certainly the first steps are taken to have a bigger impact in 2016. Snapchat is showing how to augment real video with animations. It is acclaimed they storing the visual information of our faces as valuable data. VR concepts could very well leverage that. Expect some examples on that. A lot more can be said on 2016 and beyond, but I keep it to this. The platforms created in 2015 will start to collect our behavioral data and will offering helpful services as tradeoff. We will start to get used to have a dialogue with the products we use, and have more tangible interactions at the same time. I hope we will remain gaining more awareness on the systems we live in and the consequences our behavior has. Just using the P word without offering actionable tools is not useful. We will see new forms of design thinking on systems (like design for agency, meta design, playful), good signposts for some increased literacy in 2016. The year 2015 has started. Traditionally I look forward to the coming year. Some thoughts for 2014 are still in the expectation. One important development we all thought would go fast were the wearables. Glass did not fly yet and is not expected to enter a consumer market soon. The principles in the Glass interaction for relevant services turned out to be the fundamentals for the wrist-interactions too. The postponing of the Apple Watch launch and the not optimal implementation of Android Wear made it slower getting traction. I’m still looking forward to is the launch of the Apple Watch and the possible impact on this category. I have stated before my belief in the haptic aspect of the watch. I think it will be a very low tech implementation in the first version, just like traditional Apple product strategy: small steps that look disappointing but have serious impact in our perception and behavior. Our research in Labs on haptic and adaptive interactions will continue of course, being more relevant than ever. I think that the one of the consequences of a serious movement to the wrist can be the growth of the use of phablets. It is of course already an important trend but it will be even more dominant. The telephone-like device will have more importance in the home-browsing, becoming the first screen with the TV as second screen. The tablet with the current form-factor will lose its interest further. I am curious if we will see the 12/13” tablets come to market as the entertainment slate to have lying around at the coffee table. The use will change. In combination with a bigger screen it can replace the TV-settop box. Let’s see if the TV providers will upgrade their apps to a serious competitor to traditional TV set-up. The home will be the domain of another breakthrough this year: the digital smartness in our daily life. With the leaked patent of Apple of a Bluetooth home-device and the activities of Google with Nest this will be a get some serious traction in 2015. In the Netherlands smart energy meters and thermostats are installed rapidly by the energy companies and people are getting used to more smart products. It will not be one integrated smart home as the futurist of the past thought, it will be a bottom-up development with more and more products connected to the net and controlled by the smartphone. The hubs will be integrated in the operating systems of our phones, but web based solutions will become more important as independent connector. The first new players will arrive in the market in 2015. Apple and Google will however try to move first. This whole movement to the internet of daily life as practical execution of the internet of things is one of the big developments in 2015. As the smartness and data move into the cloud and the control and personal experience move to the mobile, we will have a silent revolution. The world in general will remain unstable and old structures are more and more enhanced with new peer 2 peer markets and sharing services. This will be even more local based as the established sharing services grow into traditional companies that we will approach as traditional companies. The shift to more private social messaging that we have seen happening in 2014 will continue and be more part of our routine, also stimulated by the wrist to wrist interactions. The first messaging service that integrate marketplace functions will have a great success. Snapchat will get more traction, Facebook will remain big as media for the older generation, but will be under pressure to change some of its new privacy terms. In the end it will lead to people more reluctant to share personal stuff. Google+ will remain in market but won’t develop anymore, Google will focus on messaging with Hangouts and try to add some serious private messaging platform again. Just like a lot of other predictionairs I think that the VR-hype will not fully happen in 2015. Still, there will some real promising applications and experiences introduced. A new year has started. Time for some predictions to keep up a good tradition. We published already some trends on the Christmas card of info.nl (read them here in Dutch). In short: Mobile rules digital, wearables as next wave, from social to community, lean service design as approach and data as fuel. Looking back at the predictions for 2013 as I did last year I got a feeling that a lot came true in the attention and intentions, but at the same time I could repeat the trends for 2014. There were others that coined 2013 as a lost year. Don’t agree on that, but 2013 was a year where some foundations for changes were made more than the changes itself. The explorations on Glass where important. The leap forward for electric cars. Drone delivery concepts, and the insights we gain from NSA. All important steps. For me the big overall trend is the merge of the digital and psychical space that is tipping this year. We expected a lot from the internet of things in 2013 and we have seen a lot of attention and separate products like Hue and Nest breaking through. Still the real full connected context that shapes total new concepts and experiences is just about to start. Glass can be a driver. We played with the device build some apps already and preaching the impulse shaped services even more. Glass and other smart wearables as the iWatch will come to the market and will connect with the psychical world via Bluetooth smart. In 2014 the first concepts and services will be introduced, conferences like SxSW and Solid will talk a lot on this, the real connected world will only emerge as the big players Google, Apple manage to create an OS-like environment where services can interact. Google will launch definitely a model around Glass for extracting profile data into the services (Glassware) we gonna build, and Apple will introduce a variation/extension on Passbook. All seems to be in place for some serious steps here. Apple could even be the trailblazer if they get the model right in a way users understand we are entering a different world. The model of impulse shaped services has a big relation with our even greater valuation of the now as. 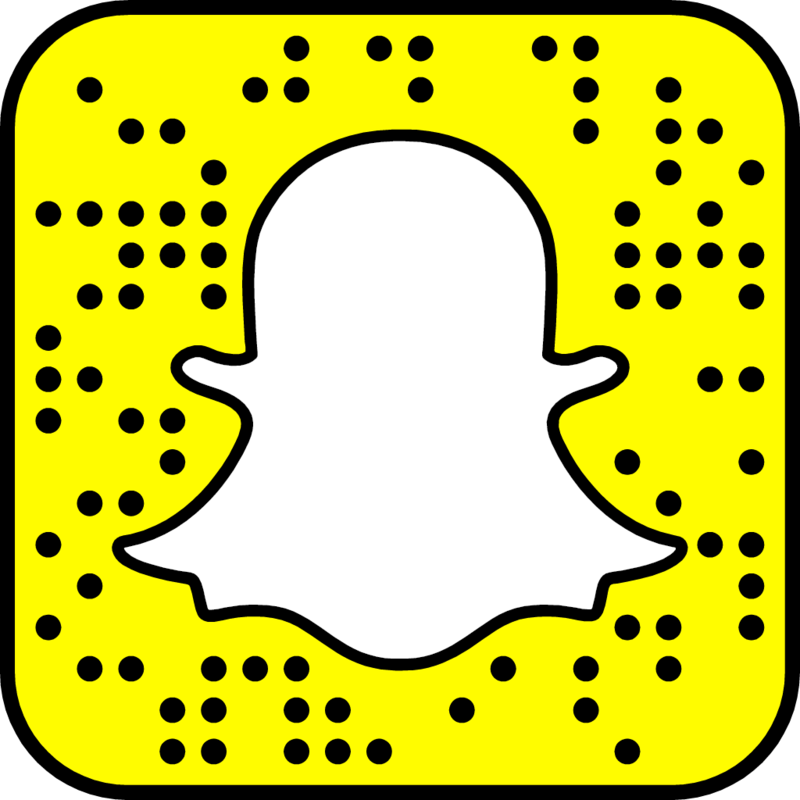 Snapchat is the signature service here that will have influence in new services part of existing social services. Quantified self made it’s way to more people as predicted, becoming more part of services and products instead of separate things. Logging will be part of all system and crucial for the impulse shaped world. Interesting is how the data sensitivity will develop. With the highly contextual based services our profile and behavior will have even more influence on the day-to-day experience. If NSA secrets finds its way to a broader audience it can mean serious threat for the adoption. We embrace also the real. 3D printing has a slow start, but could transform in a mean to freeze our continuous disappearing now experiences. Printing our life logging, expect a service for that the coming year. We need new services to make our legacy last longer than the moment. Looking for this balance between the even more digitized context and embodied experiences could become an important driver. We are at the turn of the year so time for some reflections on the coming year. As always it will be an interesting year, and especially for someone like me turning my focus on the Internet of Things in the last years, many are predicting a break-through year for the connected physical world. Not so strange, a lot is happened in 2012 to pave the way, like IPv6 and some icon products. Both Google and Apple seems to invest a lot in this field. So it is a no brainer that in 2013 the Internet of Things will be ubiquitous. I predicted it as important for 2012 too, and in a way I was right. Kickstarter had a lot of interesting connecting products and some important new introductions were done like the Philips Hue. Still the real turning point will be in 2013 and 2014 I think now. To look at 2013 I think a couple of developments are interesting to watch, a bit more meta trends than usual maybe. The first is DIO; do-it-ourselves. We will see a break-through of 3D printing the coming year, but still in the stage of for example the early DTP-software early nineties. Some people are gifted to make nice things themselves, the majority will be rather poor. We will combine the new possibilities with the social behavior we developed, do it ourselves will be more important the coming year than DIY. Groups will find eachother, community sites will appear, groups in Facebook and Google will hangout making real stuff. There will be a hype as the printers keep falling in prize. At the end the trough of disillusionment will emerge. Nevertheless some valuable concepts of half fabricated/scripted products will come to market as signs for the coming time. The ones with a social angle will be most successful. A second development is the added smartness to everything. Smartness emerges from awareness of things on their own behaviour, but more important from the usage data by the user. Quantified self will be part of product features, not a separate thing. Robotics will become more important. Smart products are not just smart, they are replacing tasks. We will see more and more household appliances like the Roomba, or like the Nest, which is in the end also task replacement. The key of these connected products is the intelligence and the move to replace repetitive tasks. Third is the growing data literacy. Was a trend for 2012 and will go on into 2013 even more. People are becoming more aware on the way Facebook works, and become more critical users. We will not stop using the social tools, but people will be conscious and choosing the channels based on the way data is treated. And we more and more will create a version of ourselves on social media. There will be a serious space in the market for a fair-play social platform. Data literacy is more than social media. We are just beginning with all the data trails from products use and services like Google Now will trigger our sense for data. Still no revolution to expect though, but definitely space for smart propositions in this area. Last one is one that is the glue for these all and the most important for the coming year(s): value in all. We see a romantic quest for craftsmanship as a counter reaction to the post digital world we live in where everything is connected and digital. Value in the form of genuine experiences will become part of premium products and services. But also in convenient goods the story of the products, the history of the making, will be a distinction and important brand characteristic. Making stuff personal is one way to create this value, and is an important driver for the do-it-ourself movement. Value is not just a differentiating feature, it is also crucial in using services where we exhaust data. We will more and more be aware of the privacy sacrifices that we do for using services. Data literacy and consciousness will at first result in our wish for more balance and transparency, we only share our data if direct value is the result. Like we sketched in this little movie earlier this year. In contrast to the automated smart environment we will see that we value the imperfections, the seams. Hiding all technology is not better for a start. Depending the product, but we will like to see what is happening, feel our products. What does this mean for 2013? More products with stories, more critical consumers, more community based consumption. With the continuing crisis (real of feel) people will mix this value-based consumption with cheap mass products. Genuine value will be part of the successful products and services of 2013. It is 2012 already. It is a tradition on this blog to look ahead to the coming year. Thinking on what will happening is a good start of the year. But first, for the record, let’s look back at the predictions I did last year and in general what happened in 2011. The breakthrough of tablets and nearby computing was a good feeling I think. In 2011 I think we saw some serious steps where digital lifestyle is becoming default for our approach to services and products. The way people adopt the home coach app in the Dutch version of The Voice of Holland for instance. Or the growing use of on demand media. And all cumulating in a new smart product like the Nest thermostat and Peel tv-guides. I predicted (and hoped) newspapers would improve their apps to much more interesting digital content experiences. We saw some examples like the Guardian, and some magazines do good jobs like Autovisie. But many still hold on to the old models. What really did happen however was the emerge of new personalized services based on algorithms, social peers etc. Like Zite, News.me, Summify, and Livestand. This is just the beginning of what to come, I expect more of these kind of services in 2012, in all kind of categories. And we will see a Nest-like product release probably every month. My optimism for the economy was not completely right. Halfway in a sense. Europe did get a hard time indeed, but I did not expected the Europe paralyzing act. I am not optimistic for the coming year this to change dramatically; we will suffer this pessimism, even if the real numbers will be better than expected. It will trigger some bigger trends that we saw rise in 2011; the sharing economy and the access based products and services. In 2011 Spotify reaches the masses, and different new services for car sharing next to Greenwheels appeared to the market. Car2go, Wego, Snappcar. And also in other branches like tools. This model will be more and more popular in all different kind of branches the coming year. Not all that successful, but there is a fertile ground for sure. The virtual money layer that functions as play money and mean for exchange of profile data turned out not be as prominent as I expected for 2011. Still a trend that will be a fundamental development I believe. In different manners. If we would have a real economy crash, which I hope (and expect) not to happen, it will be triggered sooner as alternative for our devaluated real money. We will see the first steps however to virtual social currencies with the release of the NFC phones (an iPhone 5 at last) combined with more access based products and services for sure. But this will last till the end of the year and become really big not until 2013. An interesting field could be our energy consumption. We will see that we are growing into a system where we contribute much more to the production of energy and a market place of electricity will be part of our sharing economy. Electric vehicles will trigger this, a service where private households are offering their fast charger to electric car owners via a service could be well in place soon, probably in 2012. But I think that this will not fly till 2013. I think I was quite right with the prediction that gamification became hot in 2011, but stayed a hype at the same time. The hope for services that are designed with playfulness as one of the design principles in stead of cheap badgification is something that has indeed not been seen before 2012. There are some signs for this to happen indeed in de the coming year, hopefully with not to many lame implementations that danger the possibilities. The ROI of gamification will be a hot topic. Just like we got with socialification. The social angle become default indeed in 2011. We see even some fatigue emerge from all social experts that did pop-up. Nevertheless, no company is neglecting to think about social and making it part of their strategies. Bigger corporations did this in 2011, in 2012 also SME will follow. At the same time we as users are grown up and will model our use to specific situations even more. The circles Google+ launched will evolve to a standard approach – that is more basic than the circles – and smaller social private groups will live next to the temporary ties we have more and more. The shift of users becoming part of the organizations as policy makers and product developers will be default. The big data movement is developing a bit slower than expected. Google with plus and Facebook with timeline are however paving the road for even more data driven knowledge and the war of the ecosystems with Facebook, Google, Apple and Amazon is acknowledged all over the industry and will sharpen. There will however be no real losers (expect maybe a disappointing IPO for Facebook), they will together shape the fundaments for the services we make. And data becomes really data science as nicely shown in this presentation. With the serious steps in emerging smart products the flood of data will be only more and we will see the first ‘profile management’ services appear that can manipulate your data presence. I have to say that the prediction on Facebook launching a Groupon killer did not came true. In stead of trying to save Places Facebook discontinued the development. The dispute on their privacy and profiling continues as expected last year, and the new Timeline function makes us as users even more the product, that is a widespread observation. A voice function and even phone that was a rumor is still on the shelves. Let’s see what the coming year brings for that. I expect that the focus is on leveraging the timeline to all corners of the service with the connection to the pages. 2012 could be a consolidation year for Facebook, connecting all the dots and deepening existing services over all touch points. So to sum up I think relevancy will be a leading theme. If Apple introduces the expected iTV this summer (big sport events are always a good moment) it will set a marker for relevant services. I agree with those that predict a TV-experience that will be much more a personal experience (in the context of the family) and combines the best second screen integration with tablets and cloud. Apps for the iTV will be not used on the TV set but on your personal remote, phone or tablet. And just like with iTunes connect to the PC platform, iTV could connect to other mobile platforms. Google and Windows will follow soon and integrate in their ecosystems the second screens and tv-operating systems, but Apple will set the tone in the user experience as expected, and add gesture and voice interactions. In the mobile context I think we will see a growing importance of Android becoming more hip and happening with the developers too. Apps still rule web apps but in the second half it could change triggered by two important developments; with the market share of Windows growing to 20-25% it is becoming even more hassle to develop for all the different platforms, especially in economic weak times. And highly related with this; the ‘mobile first’ paradigm will rule 2012 and transforming full website for mobile use will be via webappsification of online services. In 2012 we will continue to evolve in a complete digital inspired lifestyle (post digital so to say) and relevant services are the corner stones in these new experiences. With economic pessimism we will hold on to cocooning social and sharing based services. Another interesting year in prospect. Well it is that time of year again. Predictions to do. Because it is a tradition and it is fun to do some analytic thinking, just like the last years. It is a tradition on my blog to give some predictions on the coming year. See these for 2009 and 2008 (both in Dutch). I will not look back in detail to see if the predictions came true, in the end it is more a residu of my thinking of that moment, than a serious hitting for the trends to come true. Broader trends are more interesting than one hot wonders, in my opinion, and I’m glad that the predictions of the last two year has started and/or are still developing. As I said last year: the short term developments are always slower, but looking back in a couple of years we will be surprised by the changes. This said, I will share some thoughts for the coming year; I think this will be a year as a start of a new focus and service attitude.